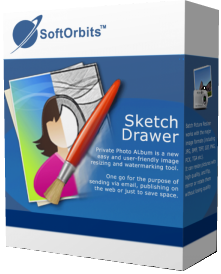 Sketch Drawer converts photographs into pencil sketches. Sketch Drawer 4.0 was available as a giveaway on May 17, 2016! How would you improve Sketch Drawer 4.0? Use whitout change my screen resolution. Remove the preview cube in the center of the image. 1)	The small square in the center of the screen is just a preview. Creating good sketch for a large image is time consuming procedure that is why program creates a small preview first. Click the Run button to generate full size sketch. 2)	If you do not like the result, play with presets and try both Classic and Realistic modes. They use completely different sketch engines and produce different results depending on the type of the source image. 3)	If you have any problems, questions or suggestions feel free to write to customer support. We receive hundreds of emails and will try to answer most of them but it may take some time. SoftOrbits, I think the PREVIEW square is distracting as it does not give the same result as actual finished product, also it stays there after the RUN has finished and still gives a different result. Maybe at the least you should make it movable and sizable so that it can be either pushed out of the way or placed over a particular part of image to highlight it. SoftOrbits, I'm still waiting for you to address the issue of previous downloads your software de-activating whenever a new program from SoftOrbits is installed. I've seen numerous complaints about this without a word from you or GOTD. "One of the older versions of this program worked perfectly. Whatever I try... however I tweak... the end result is a just a mess !! SoftOrbits, Sorry but to quote other GAOTD user Janakee: "One of the older versions of this program worked perfectly. WHAT WENT WRONG?" Whatever I try... however I tweak... the end result is a just a mess !! Does it support psd format? Soft Orbits just sent me a key via email that does not work at all on Win 7. I copied and pasted. Then I tried typing it in, then I thought maybe I had the caps key on, so reversed it, then I rebooted and re-entered the number several different ways again. No joy! I have just written them back on the same letter they sent me with the key, and added a screen shot as proof, and I'm waiting for an answer. I don't get this. An honest mistake or another jerk company wasting me time with a ripoff again? Can't comment on program just yet. Looks like fun though. Soft Orbits just sent me a key via email that does not work at all on Win 7. I copied and pasted. Then I tried typing it in, then I thought maybe I had the caps key on, so reversed it, then I rebooted and re-entered the number several different ways again. No joy! I have just written them back on the same letter they sent me with the key, and added a screen shot as proof, and I'm waiting for an answer. I don't get this. An honest mistake or another jerk company wasting me time with a ripoff again? Can't comment on program just yet. Looks like fun though. Changing zoom of pic after loaded takes forever and not a smooth rescan at new size. Continuously crashes after hitting run. Program does not run properly to process sketched drawings even with small sized jpg. plant viruses on your machine or do other harmful things. changes or enable third-party monitoring, without the user's consent. What is a malicious site? Windows 7. Installed and licensed as indicated. However, many of the same problems already mentioned, no drag and drop, tiny preview window, to name a few. I'll keep it for now. Might use it some day. Thanks for the GOTD. I just installed and registered the program and my previous SoftOrbits giveaway, PHOTO STAMP REMOVER has now reverted to a trial program. I will NEVER, EVER buy or use a SoftOrbits program again. I just installed and registered the program and my previous SoftOrbits giveaway, PHOTO STAMP REMOVER has now reverted to a trial program. I will NEVER, EVER buy or use a SoftOrbits program again. Disgraceful!!! so where is this?--" Fill in the form and sumbit your data. Check your email for registration key. Use the key to complete the activation procedure." Like many others on GOTD who have encountered this ongoing SoftOrbits deactivation debacle. Renaldo mentioned FotoSketcher which is developed by David Thoiron over at fotosketcher[dot]com which is a fantastic hassle free and 100% freeware alternative to turn your photos into art. The developer only asks for a donation for a cup of coffee if you like his software. Worth checking out. Thanks GOTD Team for your daily efforts, but I will be passing on all SoftOrbits software. I had been a SoftOrbits supporter for many years. On a side note, not sure how this software has received 81% positive ratings. Like many others on GOTD who have encountered this ongoing SoftOrbits deactivation debacle. Renaldo mentioned FotoSketcher which is developed by David Thoiron over at fotosketcher[dot]com which is a fantastic hassle free and 100% freeware alternative to turn your photos into art. The developer only asks for a donation for a cup of coffee if you like his software. Worth checking out. Thanks GOTD Team for your daily efforts, but I will be passing on all SoftOrbits software. I had been a SoftOrbits supporter for many years. On a side note, not sure how this software has received 81% positive ratings. Easy install on win10. The sketches need to allow for user intervention to mask areas and clean up some of the wild brush strokes. Having to "finish" the sketch in PS shouldn't have to happen. The offer arrived at 5 am this morning. I just tried installing it and got the message that the giveaway period for this software is over. It's just after 4 pm so it shouldn't be over? What goes? Alan Roth, it depends where you are located. For instance, my time zone is EDT in the U.S., and I receive GotD's email early every morning. However, GotD's emails originate from the west coast (PDT), 3 hours behind. So, I have the window between 3 am and 3 am the following morning in which to download & install that software. Suze, You can understand my predicament as you are in the same time zone as I. My window is therefore the same as yours but mine closed at 4 pm the day of the giveaway instead of 3 am the next morning as you wrote. So you have a 24-hour window and I had only 11 hours. Alan Roth, although I didn't know you are in the same time zone as me, I can certainly understand your frustration over having a shorter window than the 24-hour window you "should" have had. Perhaps you could post about this in the Forum section, and one of the moderators could (hopefully) address it? Alan Roth, although I didn't know you are in the same time zone as me, I can certainly understand your frustration over having a shorter window than the 24-hour window you "should" have had. Perhaps you could post about this in the Forum section, and one of the moderators could (hopefully) address it? Well, I'm stuck and not sure I want to worry about it. Why? It appears I already had this from a previous giveaway, based on the dates of the installed files. I didn't even remember, which means I never did find a use for it, and that's fine. I have friends who do all kinds of photo manipulation to post on facebook, things like that, so there's a definite fun use if you do that sort of thing. They have apps for it on their phone, so it's nice to have something on the desktop as well. I sent for the key which came right away. Installed fine I think. At the end I had a message flash by saying the key was already in use, when I hadn't done anything with the key yet. The program launched fine and I entered the key I'd been sent and my email address. It says "you have entered incorrect registration code." I tried sending for the key with a different email address, and that didn't make a difference (it actually came back with the same key, so I guess they're just counting registrations and collecting email addresses). Obviously there's something strange going on with the previous version. I don't have the time to deal with a support issue, and like I said, it's not software I need. I'm commenting here just in case someone else has the problem, so the developer could then see it's not an isolated case. Well, I'm stuck and not sure I want to worry about it. Why? It appears I already had this from a previous giveaway, based on the dates of the installed files. I didn't even remember, which means I never did find a use for it, and that's fine. I have friends who do all kinds of photo manipulation to post on facebook, things like that, so there's a definite fun use if you do that sort of thing. They have apps for it on their phone, so it's nice to have something on the desktop as well. I sent for the key which came right away. Installed fine I think. At the end I had a message flash by saying the key was already in use, when I hadn't done anything with the key yet. The program launched fine and I entered the key I'd been sent and my email address. It says "you have entered incorrect registration code." I tried sending for the key with a different email address, and that didn't make a difference (it actually came back with the same key, so I guess they're just counting registrations and collecting email addresses). Obviously there's something strange going on with the previous version. I don't have the time to deal with a support issue, and like I said, it's not software I need. I'm commenting here just in case someone else has the problem, so the developer could then see it's not an isolated case. Installed and runs on Windows 8.1. It can be a very slow program for certain of the settings. The results it produces are ok, but not brilliant. The little box in the middle of the image is strange and seems to serve no purpose except to annoy the user. Have had various versions of the program for a while. But, now I have found Fotosketcher which is vastly superior and completely free. It is much faster and offers a much bigger range of painting styles. Someone asked what is the point of the program. Well, I am a painter so what I often do is take a photograph and feed it through the program to try out different styles to do a painting of. Installed and runs on Windows 8.1. It can be a very slow program for certain of the settings. The results it produces are ok, but not brilliant. The little box in the middle of the image is strange and seems to serve no purpose except to annoy the user. Have had various versions of the program for a while. But, now I have found Fotosketcher which is vastly superior and completely free. It is much faster and offers a much bigger range of painting styles. Someone asked what is the point of the program. Well, I am a painter so what I often do is take a photograph and feed it through the program to try out different styles to do a painting of. As mentioned by a couple other people, installing this deactivates other Soft Orbits software. This issue has been mentioned for a long time, and ever since I found out about it and verified most of my older Soft Orbits software no longer works because I installed a new Soft Orbits program, my solution is to completely avoid all Soft Orbits software. I will find alternatives from other companies who do not take away software they claimed was yours to keep. It seems rather dishonest to me. The company Soft Orbits is as good as dead to me unless Soft Orbits someday fixes this problem so we can keep our prior Soft Orbits software. I don't know of any other company that does this. The problem has existed for too long for it to be a bug. As mentioned by a couple other people, installing this deactivates other Soft Orbits software. This issue has been mentioned for a long time, and ever since I found out about it and verified most of my older Soft Orbits software no longer works because I installed a new Soft Orbits program, my solution is to completely avoid all Soft Orbits software. I will find alternatives from other companies who do not take away software they claimed was yours to keep. It seems rather dishonest to me. The company Soft Orbits is as good as dead to me unless Soft Orbits someday fixes this problem so we can keep our prior Soft Orbits software. I don't know of any other company that does this. The problem has existed for too long for it to be a bug. I have been using the free FotoSketcher and it works nicely. I used to love the previous version, however this version has a small rectangular shape giving you an idea of what the finished sketch will look like. After clicking on Run using the default settings, the resulting picture had this rectangular shape which was easily identified in the output picture. I used to love the previous version, however this version has a small rectangular shape giving you an idea of what the finished sketch will look like. After clicking on Run using the default settings, the resulting picture had this rectangular shape which was easily identified in the output picture. Am I doing something wrong? I also can't find a way to move the square preview window to another part of the image. Is this a test beta program? Thumbs down for me, I wish I had my old program back. I also can't find a way to move the square preview window to another part of the image. Is this a test beta program? Thumbs down for me, I wish I had my old program back. One of the older versions of this program worked perfectly. We now have a program with a fancier interface that is reject-ware. Please get you act together. This is not worth $9,95 in its current state. You HAD such a great program!!! All the results worked perfect - no 3 year old scribbles and messes. One of the older versions of this program worked perfectly. WHAT WENT WRONG? We now have a program with a fancier interface that is reject-ware. Please get you act together. This is not worth $9,95 in its current state. You HAD such a great program!!! All the results worked perfect - no 3 year old scribbles and messes. Installation on a Win7 64Bit machine no problem, activation key arrived before setup had finished, activation by one -click. As always it pays to know something about what to expect and as such I can repeat and confirm that dark images do not produce good results whatever setting you take. In fact one commentator on a previous version said that he found the standard settings are the only ones to achieve satisfactory results with. Where the programme certainly fails is speed. The algorithms for converting of course are demanding, no question but ...!! Personally I would have never buy todays software for the regular price. But I am not writing either it off just yet because a well-done sketch conversion can have a touch of fine-art, given the right subject. Shame, today's offer did not come yesterday. I would have then had the chance of sneaking in the info on a really quite nice piece of software, ZonerPhoto 7Pro, a Whitsun holiday gift brought by Chip.de (well-known PC mag/rag). short and sweet :-) Installation on a Win7 64Bit machine no problem, activation key arrived before setup had finished, activation by one -click. Window is resizable, so As always it pays to know something about what to expect and as such I can repeat and confirm that dark images do not produce good results whatever setting you take. In fact one commentator on a previous version said that he found the standard settings are the only ones to achieve satisfactory results with. Where the programme certainly fails is speed. The algorithms for converting of course are demanding, no question but ...!! Personally I would have never buy todays software for the regular price. But I am not writing either it off just yet because a well-done sketch conversion can have a touch of fine-art, given the right subject. Shame, today's offer did not come yesterday. I would have then had the chance of sneaking in the info on a really quite nice piece of software, ZonerPhoto 7Pro, a Whitsun holiday gift brought by Chip.de (well-known PC mag/rag). Down loaded easely, installed with no problems, registered with ease. It works well and is a keeper. I totally agree, though it is slow and one needs to get to get a feel for the settings but I got a picture out of it, which as a genuine painting most people would not mind having. Whoever had the talent to code such a set of filters as these should really go upmarket. I absolutely revise my statement regards the price. I know of filters costing more, slicker appearance yes, but not capable of what you can get out of Sketch Drawer 4. Some of the annoyances some other folks experience time and again I cannot fully understand. I assure Wind.oof (meaning Win.daft) that the origin is safe, no hazard to it (of course my own virus scanner checks first), follow the setup routine closely as I do with all software. Sketch me more in Windows 10 store does the same. very useful and fun. perhaps I am talking about a different version but the one I found in the store not even 10 users had bothered to vote on. Pete, perhaps I am talking about a different version but the one I found in the store not even 10 users had bothered to vote on. I have an older version of this program called "Sketch Drawer Pro" and it works great. Considering all the negative comments I've seen about this version, I'll just stick with the older one. Newer is not always better ! Drag and Drop doesn't work! The top menu "Selection" button is missing! Drag and Drop doesn't work! The top menu "Selection" button is missing! Dismal results! Complete waste of time - Says it's installed but can be found nowhere on my system (Win 7 - 32bit). Downloaded and tried a second time with the same result. Arthur Daley, Try disabling your antivirus before installing. I find it does the same thing, but is blocked by AVG, the antivirus I use. Once it is disabled, it works great and installs properly. Arthur Daley, Please check your ativirus. SoftOrbits, Thanks for the suggestion but I've already tried that with no success. Martina, Thanks for the suggestion. I've looked everywhere but it cannot be found on my system! Some results: first a original and after that some results. Thank you very much for showing these results. It was very helpful. Very disappointed. As others have said, the preview didn't work. Actually trying an image, I got nothing like the sample bird. I even grabbed the original bird image from their website to try that. Well, it looks like a bird, if you squint. It's much lower quality that their sample. Tried switching to classic, but that was worse. I thought I remembered better from older versions. Unfortunately, I don't have them any longer. Redphantom, Actually I use this program a lot. The key to getting what you want is in the upper right corner. I don't like the results with the realistic sketches and always use classic. Then go down through the choices of styles until you see what you want. Default almost always is not it. You can do black and white outlines with it like I do to make coloring books. I use the "simple" style for that. Good luck. This is another GOTD program I have downloaded, run the setup, told it was activated and yet the program is nowhere to be seen on my Windows 10 laptop. I've received the registration email from Softbits but have no program to enter it into. Any idea why programs are not showing up after installation. This is the second time this has happened to me in the last week. Any clues to this. I've looked into my AVG and Windows Firewall. No sign of a block. Help! "told it was activated": then you have had contact with the GOTD-server to gain permission to install. And the program should be on your computer. What Windows do you use? XP, Vista, .. ? x32 or x64? Vaughan Pitman, "told it was activated": then you have had contact with the GOTD-server to gain permission to install. And the program should be on your computer. During installation you can see where the program will be installed(in WinXP in Program files): https://www.dropbox.com/s/40e2nilfn69ipfl/Setup.png?dl=0 And in most Windows there will be in the start-menu a notification of a new program. Highlighted or *new What Windows do you use? XP, Vista, .. ? x32 or x64? Ootje, Same thing happens to me (Win10 64-bit): extract the zip file to a folder, click on setup.exe, I'm told it's installed, get my key emailed to me, and no place to use it. nothing shows up in Program Files, or Program Files (x64); nothing shows up in the list of installed software. nothing on the desktop. Vaughan Pitman, Once again it is your antivirus program. After it is deactivated temporarily download works fine. Had this problem on something a while ago and someone suggested deactivating antivirus, esp AVG. It works well this way. Download is slow at first, but it does work. If you get it up and running, you must load an image before the sketch controls on the right side work. Ootje, Thanks for the reply. I mentioned in my comment that I'm running Windows 10. I've had the permission from GOTD, had the activated popup and the popup offering to install software informer. Didn't get the installation location option though. No new apps notification on the start button. Vaughan Pitman, Just run setup with AVG disabled and installation is OK. Why must I have to disable my Antivirus to activate a program? Vaughan Pitman, Just run setup with AVG disabled and installation is OK. Why must I have to disable my Antivirus to activate a program? Thanks for the help all. You are right, I did overlook your Win10 laptop. Drag and Drop did not work. Normally I work in WinXP Virtual; and often/standard I disable the antivirus. And this WinXP is secured; after Reboot everything is back to normal. Vaughan Pitman, You are right, I did overlook your Win10 laptop. I tried to install this program in Win10-64Pro and it did not work: https://www.dropbox.com/s/ggvvewue68d0h8m/Step-1.png?dl=0 and https://www.dropbox.com/s/yfnfa8ef1dhihc7/Problem.png?dl=0 After that I disabled temporarily the AVG: https://www.dropbox.com/s/b56cp6l52xdjgbi/Step-2.png?dl=0 And it works: https://www.dropbox.com/s/xy518tacdc91yxk/ProgramLocation.png?dl=0 Drag and Drop did not work. Opening: https://www.dropbox.com/s/iwvp7fvpmjwxz34/Spigolo-Vinci-alpen-robert-eckhardt.jpg?dl=0 And put a Low contrast on it: https://www.dropbox.com/s/dgl7qyl20khbf78/Spigolo-Vinci-alpen-robert-eckhardt-LowContrast.jpg?dl=0 And after that I used Paint.net to remove the sky and replaced it: https://www.dropbox.com/s/x3dvdyknc9yospc/Spigolo-Vinci-alpen-robert-eckhardt-LowContrast-1.jpg?dl=0 Normally I work in WinXP Virtual; and often/standard I disable the antivirus. And this WinXP is secured; after Reboot everything is back to normal. Ootje, It runs fine on my W10 64 Home desktop, albeit safely within SandboxIE. The advantage of SandboxIE is that the originals are never overwritten, because the folder containing the original photo's is copied in SandboxIE. In that copy the edited photo's are placed while the folder with the original photo's remains untouched. The folder with the edited pictures can be "exported" from SandboxIE to the real computer. But it is not necessary. You can place a shortcut to the SandboxIE folder where it pleases you. Ootje, It runs fine on my W10 64 Home desktop, albeit safely within SandboxIE. The advantage of SandboxIE is that the originals are never overwritten, because the folder containing the original photo's is copied in SandboxIE. In that copy the edited photo's are placed while the folder with the original photo's remains untouched. The folder with the edited pictures can be "exported" from SandboxIE to the real computer. But it is not necessary. You can place a shortcut to the SandboxIE folder where it pleases you. I'm a bit disappointed. I thought from the thumbs up and some reviews, plus my previous satisfaction with SoftOrbits that I would fall in love with Sketch Drawer. I did not. Drag and drop did not work even in the slightest (win 8.1). That square preview box is no preview at all. It's just a nuisance box with a grayscale sketch version of the dead center of your image. As TD stated, it cannot be resized or moved, and it otherwise useless. There is no preview anywhere. The small bird preview is only good if you're sketching that exact picture, which you will not be. It would be nice to have the option to sketch selected areas of an image. Add feathering to that selection and now you have a bonus. The only option in "Options" is language selection. That's all you're going to get. Otherwise, there's way more customization emphasis on changing the "look & feel" of the program with various program window themes. I'll keep this program mainly for non-photo images and perhaps for the "classic" settings, but it may be rarely used. Unfortunately, I'm not overly excited about today's offer, but thank you for the opportunity. I'm a bit disappointed. I thought from the thumbs up and some reviews, plus my previous satisfaction with SoftOrbits that I would fall in love with Sketch Drawer. I did not. Similar to TD's comments, one pro is the super fast registration email and easy input. Otherwise: CONS: Drag and drop did not work even in the slightest (win 8.1). 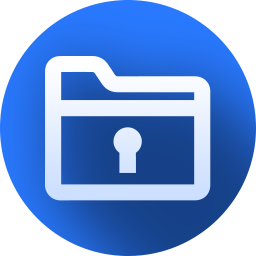 To increase that frustration a little, the open dialogue box didn't have the option to open recent files and folders, so you'll have to traverse your folders to find a specific image file the old-fashioned way - manually. (At least it remembers the last folder used while the program is still open, plus saves to the last opened folder. That helps.) That square preview box is no preview at all. It's just a nuisance box with a grayscale sketch version of the dead center of your image. As TD stated, it cannot be resized or moved, and it otherwise useless. There is no preview anywhere. The small bird preview is only good if you're sketching that exact picture, which you will not be. Perhaps it was issues with my one specific photo, but with "realistic" nothing looked sketched, only sketchy. No matter what settings I adjusted, it was either just straight lines or slightly bended lines. I had to stick with "classic" settings to retain enough of the image to recognize any parts of it. (I went back and tried several very different images... same results.) This is picky, but all images automatically "fit to screen" instead of 1:1, and you may not realize it until you actually click the resize buttons. Also, resizing can only be done via slider, as opposed to a select menu with 25%, 50%, 75% etc. (And, awkwardly, the program places all the images on the far upper left corner, not using the screen's real estate or at least offering to place the images in the center of the screen.) Images cannot be flipped or turned, so your left-sided pictures cannot be uprighted inside the program. You'll have to use another program to do that first. (All these programs should serve as an image viewer first, providing the very basic functions we're used to - resize, rotate, flip. // Crop is available, however.) It would be nice to have the option to sketch selected areas of an image. Add feathering to that selection and now you have a bonus. The only option in "Options" is language selection. That's all you're going to get. Otherwise, there's way more customization emphasis on changing the "look & feel" of the program with various program window themes. ----- I'll keep this program mainly for non-photo images and perhaps for the "classic" settings, but it may be rarely used. Unfortunately, I'm not overly excited about today's offer, but thank you for the opportunity. "It would be nice to have the option to sketch selected areas of an image. Add feathering to that selection and now you have a bonus." If you look at the Help article you will notice that the program top menu includes a button/tab for Selection. That button/tab is missing in this program and I have to wonder why. Selection would seem to be a very desirable option. "It would be nice to have the option to sketch selected areas of an image. Add feathering to that selection and now you have a bonus." If you look at the Help article you will notice that the program top menu includes a button/tab for Selection. That button/tab is missing in this program and I have to wonder why. Selection would seem to be a very desirable option. Whisperly, try removing the hatching. Your pictures will "sketch" much better. I hate the hatching. In the realistic version, it is the second tab after contouring. I much prefer the classic version. Once you have loaded a picture and do another, that list you want comes up. Installed easily enough on my Windows 10 64-bit desktop machine. Ran the get-license program, and registered it. The program looks simple - but unfortunately, I am unable to figure out how to get the entire photo sketched. The program loads my photo and then there is a small square in the middle upon which the program does it's thing. Can't figure out how to get it to do the entire photograph. Anyone - help? Try saving the sketched photo and then re-opening in your normal photo software. The small square will be gone. Dr Ken, Hit the RUN button at bottom right-hand side then you will see green progress along the bottom. Thanks for the comments. I figured out that that square will always be there, regardless. I saved the sketched photo and it worked fine. The program was bombing out on me, so I went into properties and set it to run in Win7 compat mode, and that seems to have done the trick on that. I entered three valid email addresses before I got the registration key emailed to me, and then the email went into the junk folder. I have version 2.0 of this installed and think it's awesome! I am installing this upgrade. I won't have time to test and comment on it before the midnight expiration, but I at least wanted to give a thumbs up to an older version. Does what it is designed to do very well! Jim, why do you say that? Honestly, I already installed it this morning but haven't had a chance to anything but start it up. What has been lost since v.2? Anyone know how this varies from previous version? What improvements have been made? Redphantom, I find it a lot faster than v3.3 also output has a bit more choice than usual BMP, JPG,TIF, and PNG. There is slight improvement on the PRESETS and SLIDERS and I find there are no freezes or crashes on this version (so far). Not a lot to get excited over but it's free so can't complain. I don't want to be snide or argumentative, but yes you can and should complain. That's the purpose of this site to help the developer find out what does and doesn't work. That's why it's free. So, try it out and let the developer know what doesn't work. That way the can fix it before it goes out to the public. DenisX, I don't want to be snide or argumentative, but yes you can and should complain. That's the purpose of this site to help the developer find out what does and doesn't work. That's why it's free. So, try it out and let the developer know what doesn't work. That way the can fix it before it goes out to the public. This might not be critical software to have, but it's pretty cool. You get a decent amount of control over how the sketch is made, and though it takes awhile to get the results are pretty impressive in my brief testing. I just had it create a sketch from a photo of my wife and her friend. I guarantee they will love it. Easy install and registration. This might not be critical software to have, but it's pretty cool. You get a decent amount of control over how the sketch is made, and though it takes awhile to get the results are pretty impressive in my brief testing. I just had it create a sketch from a photo of my wife and her friend. I guarantee they will love it. Easy download and registration. I was impressed by the quality of the rendering, and the variety of presets. The first photo I tried took several minutes, but then I realised I had taken a full sized 16MP DSLR photo. I resized the photo (still full screen size), and it was much faster. TD - your "con" about the preview square... you can't move that, but you can move the photo around, so you can shift what you want to preview into the smallish square. It is small, but I thought it gave enough of a feel for what the final output would look like. I usually avoid cluttering my PC with such programmes, but this one is a keeper! I am a photographer and I do watercolour painting. Rendering a sketch will help me plan the values (you'll know what I mean if you paint) easily. Not only that, some of the sketches I've tried actually look more attractive than the original photo... a bit like converting some of your favourite photos into stron B&W images. Make sense karlson? Easy download and registration. I was impressed by the quality of the rendering, and the variety of presets. The first photo I tried took several minutes, but then I realised I had taken a full sized 16MP DSLR photo. I resized the photo (still full screen size), and it was much faster. TD - your "con" about the preview square... you can't move that, but you can move the photo around, so you can shift what you want to preview into the smallish square. It is small, but I thought it gave enough of a feel for what the final output would look like. I usually avoid cluttering my PC with such programmes, but this one is a keeper! I am a photographer and I do watercolour painting. Rendering a sketch will help me plan the values (you'll know what I mean if you paint) easily. Not only that, some of the sketches I've tried actually look more attractive than the original photo... a bit like converting some of your favourite photos into stron B&W images. Make sense karlson? Thanks SoftOrbits and GAOTD. "I am a photographer and I do watercolour painting." Purely FWIW, I've used similar sketch FX, clearing or erasing most of the fill-in detail, printing the result on watercolor paper, then having at it with the watercolors for very quick prints that looked nicer than I had originally expected. Years ago HP printers used to use water-based inks, & using those for that sort of thing was nice too. Bert, <i>"I am a photographer and I do watercolour painting. "</i> Purely FWIW, I've used similar sketch FX, clearing or erasing most of the fill-in detail, printing the result on watercolor paper, then having at it with the watercolors for very quick prints that looked nicer than I had originally expected. Years ago HP printers used to use water-based inks, & using those for that sort of thing was nice too. As I like to live dangerously, I took the risk to install this new version of Sketch Drawer (its previous giveaway now giving me the choice between "buy now", "close" and "register"), knowing that there was a very big chance that it would deactivate SoftOrbits Photo Stamp Remover, given away here recently, which I like better and which, by miracle, was still working. And guess what? It DID deactivate it! You have been warned, but don't worry, I won't rant again about this recurrent issue with SoftOrbits, I have already done it enough, here and in the forum. Instead, I seize the opportunity of enjoying at least one working SO program to test it against FotoSketcher, for me the reference in this niche. The second creation of FotoSketcher is a painting, not a sketch, so it cannot compare with what Sketch Drawer does, I just did it for fun. In both programs, I only used predefined styles, which I chose after what I saw in the little preview windows, and didn't move a slider. The textures and brushstroke edges are not available in Sketch Drawer, optional in FotoSketcher (which doesn't texture the margins though, so I did it in another graphics software). Under each drawing, I give the names of the style and presets, so that anybody can reproduce my results. As I like to live dangerously, I took the risk to install this new version of Sketch Drawer (its previous giveaway now giving me the choice between "buy now", "close" and "register"), knowing that there was a very big chance that it would deactivate SoftOrbits Photo Stamp Remover, given away here recently, which I like better and which, by miracle, was still working. And guess what? It DID deactivate it! You have been warned, but don't worry, I won't rant again about this recurrent issue with SoftOrbits, I have already done it enough, here and in the forum. Instead, I seize the opportunity of enjoying at least one working SO program to test it against FotoSketcher, for me the reference in this niche. Maybe it would have been different with another photo, better with other predefined settings, I don't doubt I could have obtained much better results taking advantage of all settings and sliders in Sketch Drawer, but... Oh well..judge by yourself: http://diaporama.archive-host.com/df2/Diaporama.php?id=lxazjr1A7d1cdtdgdcyX The second creation of FotoSketcher is a painting, not a sketch, so it cannot compare with what Sketch Drawer does, I just did it for fun. In both programs, I only used predefined styles, which I chose after what I saw in the little preview windows, and didn't move a slider. The textures and brushstroke edges are not available in Sketch Drawer, optional in FotoSketcher (which doesn't texture the margins though, so I did it in another graphics software). Under each drawing, I give the names of the style and presets, so that anybody can reproduce my results. Thanks also for showing the comparisons you did between this and FotoSketcher, a free program that packs a lot of options in it [http://fotosketcher.com/]. ouialaraison, "You have been warned, but don't worry, I won't rant again about this recurrent issue with SoftOrbits, I have already done it enough, here and in the forum." Indeed, thank you, ouialaraison, for tempting fate once again, and letting us know that some things never change (unfortunately) ;-) Thanks also for showing the comparisons you did between this and FotoSketcher, a free program that packs a lot of options in it [http://fotosketcher.com/]. Installed with no problems. However, after trying it out on a few photos using all the presets and a few custom settings the results were very disappointing. Most of the presets rendered the photo as something that looked like it had been scribbled by a three year old and unrecognizable, certainly not worth the 49.99 asking price. If I'd bought this I'd be demanding a refund. Uninstalled, waste of disk space. * The 'preview' square CANNOT be resized, or even moved. Not all photos have a subject right in the center. * The 'preview' square does NOT preview the final result -- like the bird does during preset selection. What is its use then? * Tools / Options only has language settings. As such, it could be a cascading menu item, not a separate dialog box. * Takes sooo long on a i7-4700MQ x64 with 16 MB RAM with a 640x480 test image. Downloaded easy enough through email link. Works a lot better than previous version that I had 3.3 but overwrote it even though I put it in Separate folder. 3.3 version is still there but opens up as version 4.0 . I hope I don't have problems with my paid version, as SoftOrbits giveaways tend to de-register all my paid for SoftOrbits software (and also the previous giveaways). The software is easy to use but works better on professional sharp photos and is unforgiving on even the slightest wrinkles. Lots of play is given to get the perfect sketch but I find the CLASSIC dropdown gives better results than REALISTIC. Thanks SoftOrbits and GOTD team. Downloaded easy enough through email link. Works a lot better than previous version that I had 3.3 but overwrote it even though I put it in Separate folder. 3.3 version is still there but opens up as version 4.0 . I hope I don't have problems with my paid version, as SoftOrbits giveaways tend to de-register all my paid for SoftOrbits software (and also the previous giveaways). The software is easy to use but works better on professional sharp photos and is unforgiving on even the slightest wrinkles. Lots of play is given to get the perfect sketch but I find the CLASSIC dropdown gives better results than REALISTIC. Thanks SoftOrbits and GOTD team. Why i need pencil sketch? Probably good for kids who wants to cheat assignment. Other than that i dont get the idea. Why go backward? Why i would want fake pencil sketch? Enlighten me plz. I hope that enlightens you a bit, now please enlighten me as well... how will this help a kid cheat on an assignment? do you actually understand what this software does? karlson, Is it serious software? No I don't really think so but yes it will deffinately have its uses (think birthday cards, sketches for the kids to color etc) I hope that enlightens you a bit, now please enlighten me as well... how will this help a kid cheat on an assignment? do you actually understand what this software does? Dude, you have absolutely zero imagination if you believe there is no use for this software. I plan to make thousands with this yearly if the license that comes with this software allows. If I have to pay for a commercial license, depending on the cost compared to other like software, I will. Help kids cheat on their assignments? Yep, this software should be banned to be within a half mile of any school. Sheesh. karlson, Dude, you have absolutely zero imagination if you believe there is no use for this software. I plan to make thousands with this yearly if the license that comes with this software allows. If I have to pay for a commercial license, depending on the cost compared to other like software, I will. Help kids cheat on their assignments? Yep, this software should be banned to be within a half mile of any school. Sheesh. Not all tools are for everyone just as they are not for every job. If you have no need to create sketches, then its a tool you don't need in your toolbox. Every toolbox varies according to the needs of its owner and should reflect the needs of its owner. My suggestion is for you to not include this tool in your toolbox. karlson, Not all tools are for everyone just as they are not for every job. If you have no need to create sketches, then its a tool you don't need in your toolbox. Every toolbox varies according to the needs of its owner and should reflect the needs of its owner. My suggestion is for you to not include this tool in your toolbox. Mavadelo, Kids today are looking for expensive toys or a fat check, nobody reads phony birthday cards anymore. My grandson throw away the card, didn't even notice there was a card. fred, If you see such card as phony why even bother to give to your grandson. You set the example after all ;) (Not meaning to judge here at all btw). However the wrold is bigger than kids and grandkids alone. I enough enough people that still love to get a nice "selfmade" postcard. The soft orbits get key web site is not working, it will not open, all I get is a blank page with softorbit logo showing, can anyone help with this problem? Thomas Kelly, the site works fine on my side.